When I was a little girl, my mum had the loveliest plastic recipe box, with recipe cards for every occasion. There were many that become firm family favourites, and some that stand out in my memory were the following – Christmas Cake, Pineapple Upside Down Cake and Rock Cakes. I loved Rock Cakes, I have sepia tinged memories of eating them in the kitchen, always in the winter, with my brother. And they tasted so good. So the other day I decided that I had to find a recipe for these retro delights, and bake them for the children. My son, who is five, is an enthusiastic cake chef, more for the licking of wooden spoons and the finished article rather than the actual process, but he put his apron on and joined in with great gusto. These are fun to make with kids, as they get to rub the butter into the flour and sugar to make a breadcrumb mixture, then mix milk in to make a dough before spooning it onto a baking tray. They are a doddle to make. They are lovely on a rainy Saturday afternoon, with a glass of milk, in front of a movie. I used this recipe here. Enjoy! 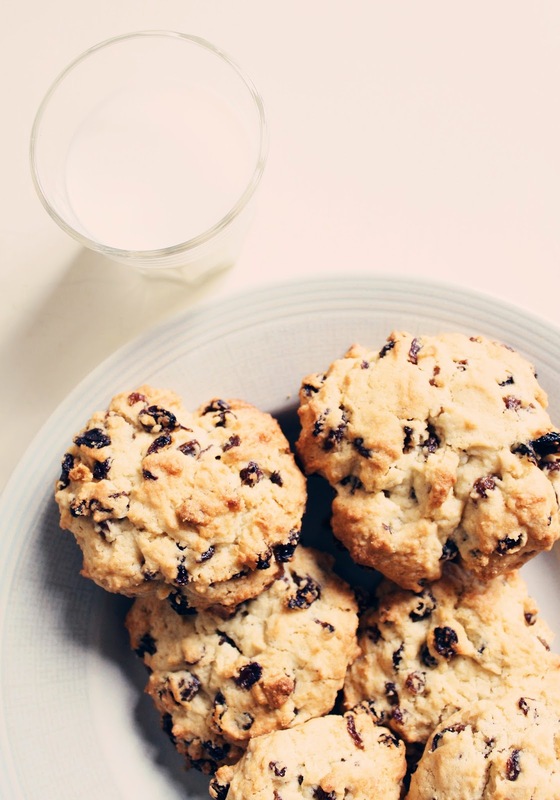 My mum always used to make rock cakes. She's become a bit more modern in her ways now, though. I go to her house and there's different types of bread, cupcakes, chutneys etc. I miss the rock cakes. I'll have to make some.